It surprised me to see three brands of Vanuatu grown coffee for sale in Luganville. Alongside the well-known Tanna coffee there was a selection from Aore Island and a haphazard collection of different bags branded as Cafe de Vanuatu. I found the origins of this coffee at VARTC ( Vanuatu Agricultural Research Technical Centre ),10km north of Luganville. The VARTC farm is quite compact and it did not take long to find children on school holidays picking the arabica beans (30 Vatu for 1kg or about 40c NZ ). From picking to roasting, the whole operation is done by hand. With a new wharf being built in Luganville and more cruise ships visiting it would be an ideal time to package the operation for tourists in a similar way to Tanna Coffee in Efate. In the meantime you will have to buy the very good quality arabica beans at LCM ( the best supermarket in Luganville ), I just hope the branding gets some love. Most boutique chocolate companies tell more or less the same story; machinery sourced from all over he world (the older the better), small-scale farmers in exotic places, micro scale production and a vision/passion to make artisan chocolate from bean to bar. With this in mind, how does the average consumer make head or tail of the competition? A tasting is a great place to start. In a recent tasting with Jo Coffey, prior owner of Wellington's L'affair au Chocolat I tasted bars from Canada, Holland, Australia and the Philippines, which all used imported beans, and two locally produced bars from Vanuatu and Fiji. The tasting threw up some surprising results. Without going into too much detail, the favourites were Gabriel 80% Chuao (Venezuela) and Sirene's Ecuador 70%; someone commented they could eat more of the Fijana 72% due to it's lack of intensity; the Aelan Chocolate from Vanuatu (made with Santo Criollo beans) competed on flavour but suffered from more than a hint of smoke. The least favoured were Indonesia's Pipilten range and Australia's Bahen & Co Brazil 70%. How good is good chocolate? We had a group of friends for lunch recently and had the chance to compare a bar of Grenada Chocolate Company's 60% organic nib with a favourite New Zealand brand's 'boutique' range. Despite being stored in a fridge for nearly a year and looking much the worse for wear, the Granada chocolate left the competition in the dust and was ecstatically and unanimously praised. On another occasion, a friend of ours was determined we would not change her preference for her supermarket purchased, NZ made favourite chocolate. After tasting a selection of bars from Pralus (including a 100%), she spat out the NZ product when asked to compare, saying it now tasted like plastic and berated us for destroying her favourite thing. For those who want to become chocolate snobs, help is here. The International Chocolate Awards are in their 7th year and have become well-known arbiters of good chocolate. They run regional and international awards each year. NZ made bars have already had some favourable reviews and it would be great to see NZ chocolate feature in the awards some day. Photos all taken on phone. I did not think I would return to Rakiraki Market so soon but after Cyclone Winston devastated parts of Fiji I was called to photograph some of the marketplaces on Viti Levu. Beguiled by the blue skies and sunshine it was still clear the damage in Rakiraki area was widespread. The market was pretty much non existent after the council had already bulldozed it flat.Tents have been put up to house some of the market vendors until their buildings are restored. Pineapple vendor Ajay Lal was looking a little worse for wear which was not surprising after he told me his house had been badly damaged by the cyclone. 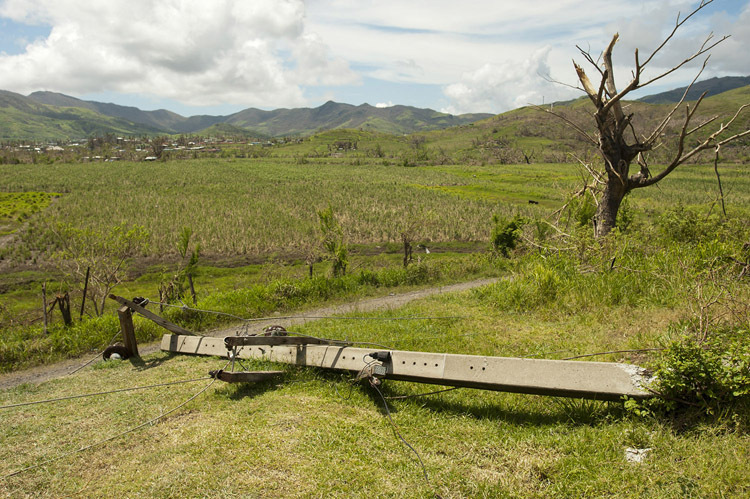 Three weeks after the cyclone Rakiraki township has power restored but it will take months to repair outlying power lines and even longer for crops to get back to full production. 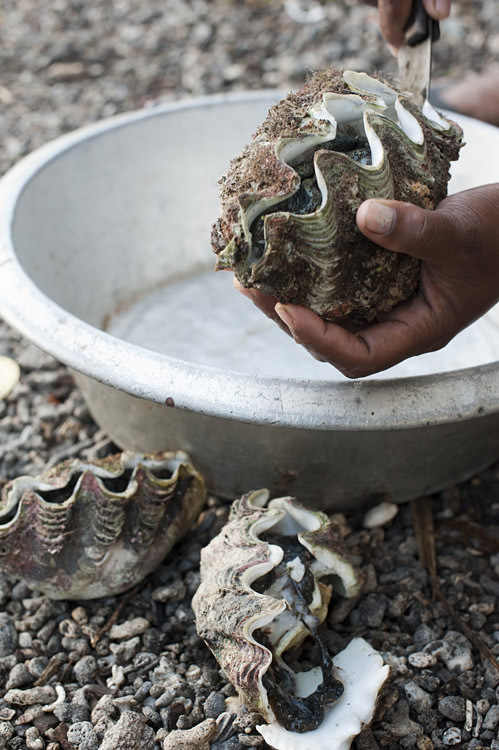 I had the chance to photograph Rakiraki Market working with UN Women in Fiji. Since then it has been flooded (the day after I was there) and now has been severely impacted by Cyclone Winston. 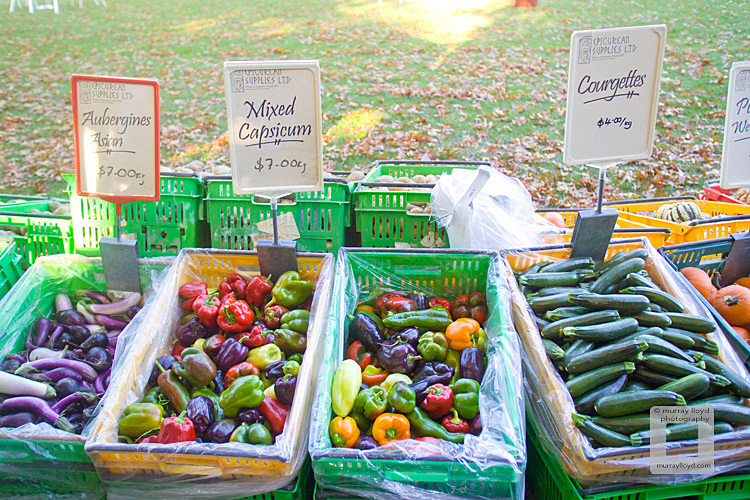 The vendors were very kind and friendly considering I was not there to purchase their produce. The marketplace has no doubt been damaged but worse will be the crops from which the vendors make their income. As seen in Vanuatu, it takes some growers the best part of a year before they get back to similar levels of crops post cyclone. Any support for Rakiraki and Fiji is sure to be appreciated. 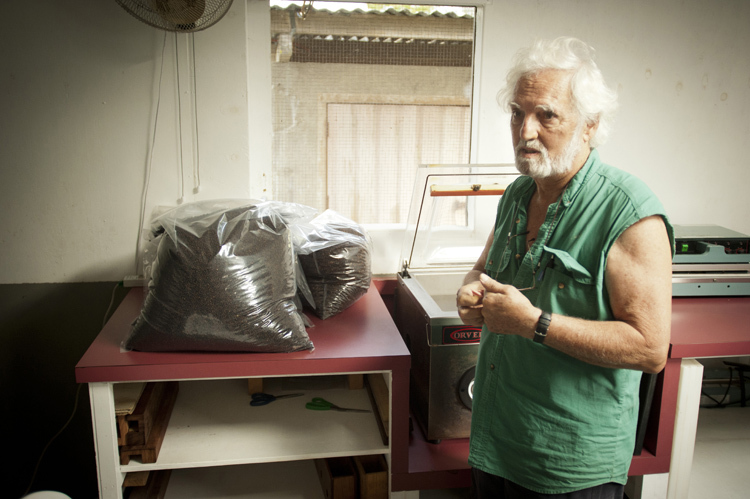 After 28 yrs of Vanilla production in Vanuatu Pierro Bianchessi has left for Italy, his homeland. 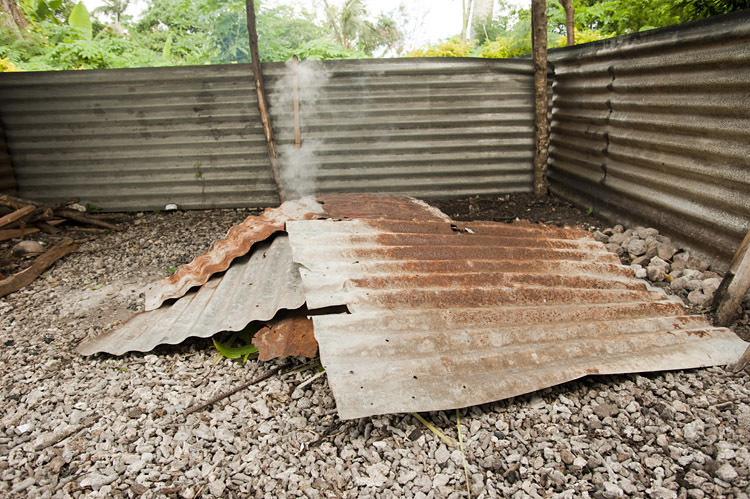 An organic chemist, Bianchessi arrived in Vanuatu in 1987 and found the perfect climate for growing vanilla. He established Venui Vanilla and by 1991 demand had increased beyond what he could produce on his own land. 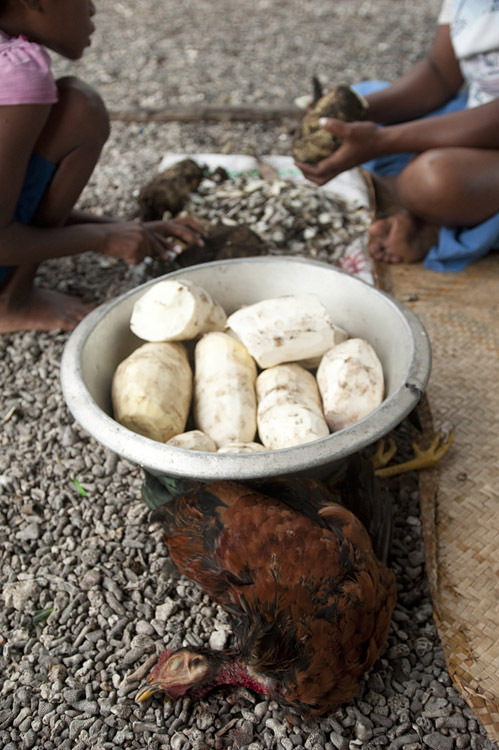 Growers were contracted and trained from northern islands in Vanuatu, processing 2000-2500 tons of vanilla each year at the peak of production. Certified organic from 1997, Pierro marketed the vanilla himself at food shows in Europe, NZ , Australia and New Caledonia. 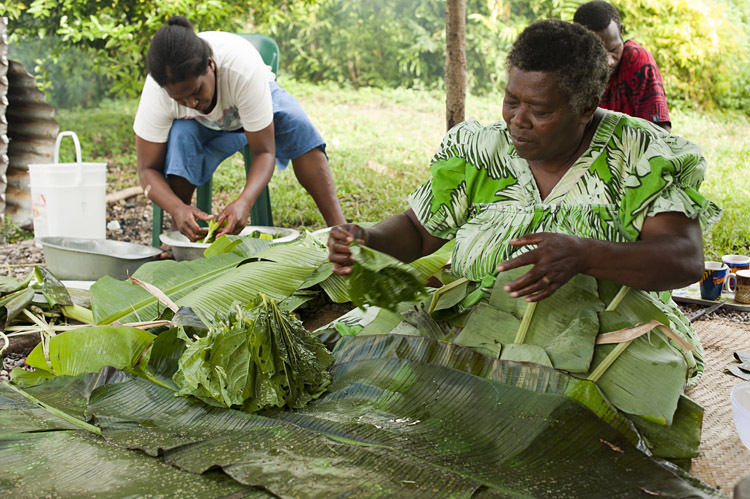 Venui Vanilla quickly became Vanuatu’s premiere artisan food producer. Vanilla needs a dry coolish winter of 7-8 weeks for successful pollination and although this was possible initially the amount of vanilla being processed has now dropped to 2-300kg per year. Bianchessi states this is a direct result of climate change. Venui Vanilla now also produces peppercorns, turmeric, chillies and ginger and to reflect this has been rebranded Venui Vanilla - Spices of Vanuatu. Venui would have to process five times the amount of peppercorns to replace the value of the declining vanilla crop according to Bianchessi. New Zealand has strong links with Venui. An Auckland based graphic designer created the cool looking soft packaging and New Zealand’s BioGro Organic Certification was achieved in 2013. 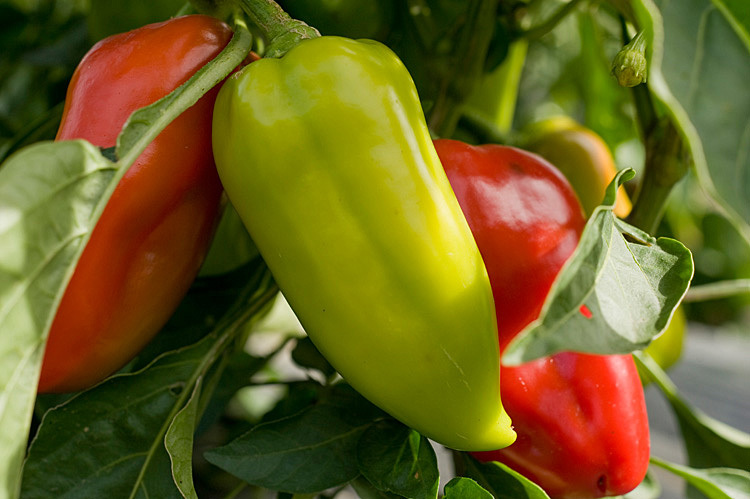 This certification also covers the 200 small farmers who supply the company. A new manager has been found and the company has been sold to LCM, a very established grocery business based in Luganville. A new cold pressed centrifugal coconut oil processing facility is being built as a result of the new investment. Although departing, Bianchessi was optimistic the organic ethos of Venui will continue. 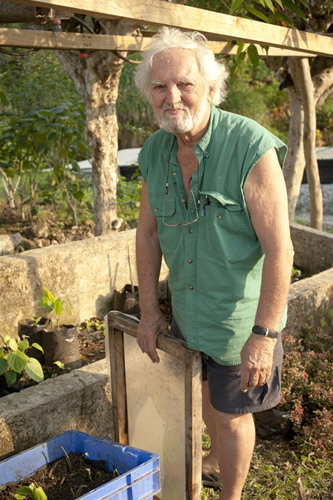 He believes Vanuatu has a good future with food production as it remains naturally organic, the last of the Pacific Islands to be in this state. 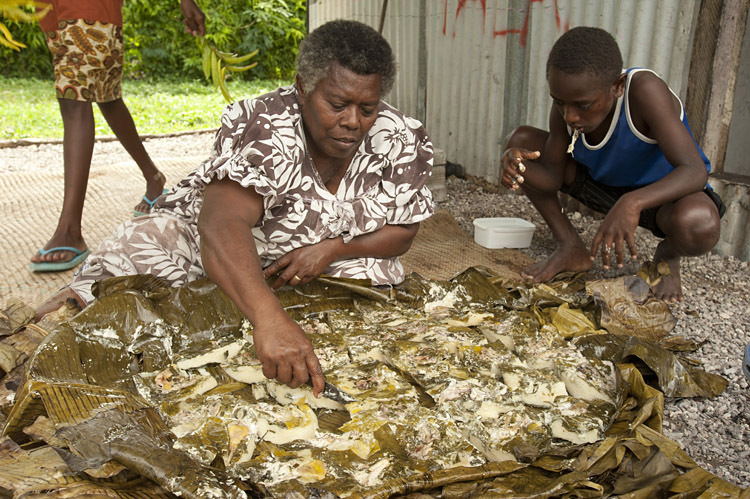 Lap lap is a traditional Vanuatu dish wrapped in leaves and cooked above ground on hot stones. Mangaliliu Village has a strong heritage in making lap lap and this was seen when staying in the village recently. Starting at 6 AM (photography in this light was a treat) the lap lap was made on Sunday morning by the women and children from the extended family for lunch following a session in Church. With no fridge available two chickens were freshly slaughtered for the occasion and were plucked by the children. 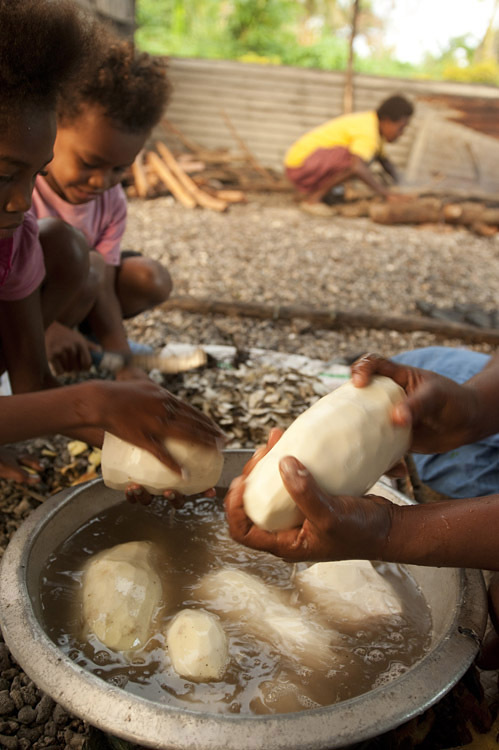 Aside from the lap lap faol seen here (chicken), other versions are dakdak (duck), fis (fish), mit (meat), taro, maniok (cassava), yam and banana. There are also regional variations. Older coconuts which have fallen from palm trees and begun to sprout again (if left on the ground) are known as Navara. 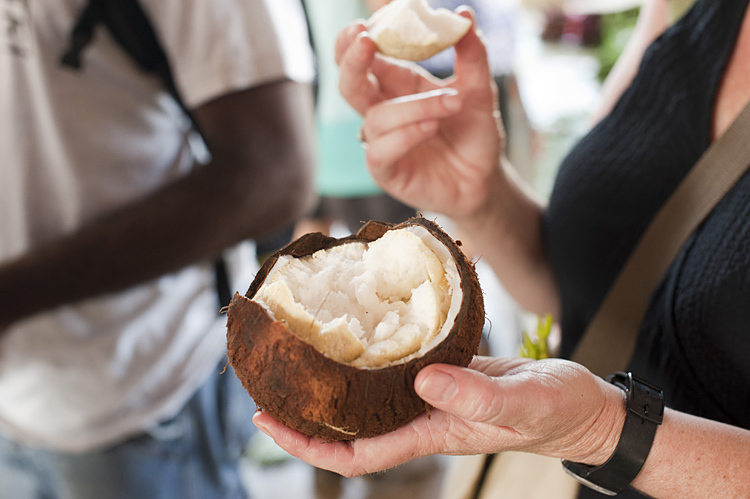 The coconut milk dries up to leave a fragrant, slightly milky sweet tasting flesh which is easily broken apart. As well as being a delicious treat they sell at the market for very little (NZ 25 cents). 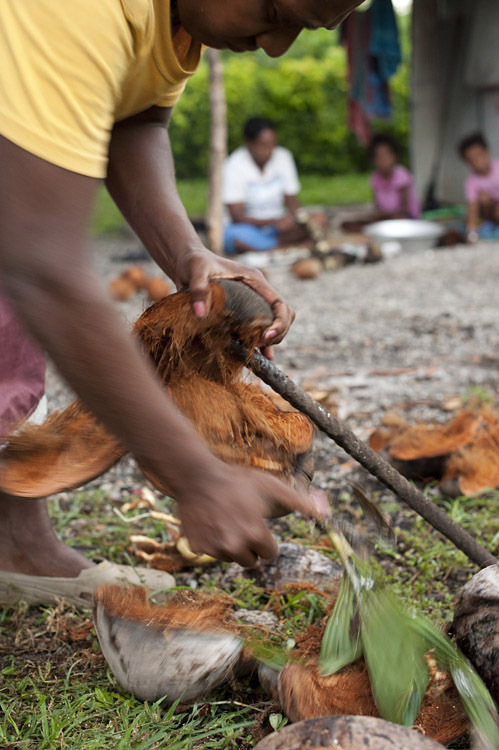 These photos were taken while learning the local pidgin language of Vanuatu known as Bislama. If anyone needs a good Bislama teacher I can recommend Terry Firiam +678 5956604. Every year in August Ruth Pretty’s commercial kitchen gets into the mid-winter Christmas spirit. It’s the start of a festive ritual which ends with more than 4000 Christmas cakes despatched for celebrations far and wide by the special December day. The never-published Christmas cake recipe arrived hand-written after Ruth asked her staff for contributions for end of year client gifts. Thirty five other recipes were tried but fell short of the magical combination. Long-time Ruth Pretty staff member, Carla Carkeek bakes 74 cakes a day several days a week from August until December. One year 17,000 Christmas cakes were made as staff gifts when two banks merged (Carla had extra help for this one). The cake won top prize in Christchurch’s 2007 Royal A&P Show commercial bakery section and at least one cake a day heads offshore, delivered mainly to expats in Asia and as far as soldiers in Afghanistan and elsewhere. The fruit is first soaked in sherry and after the cakes are cooked they get doused in brandy, ensuring a long life. One cake in 36 is cut and tested, with the slices then devoured by visitors to Ruth’s shop. Made by Carla’s steady hands, the testing seldom finds errors. Although one year the team did pick up a change in the potency of Hansell’s essences after the company changed hands. Watching her handle 23 different ingredients to make 74 cakes and prepare mis-en-plas for the next day’s 74, it’s easy to see why Carla is referred to as the Christmas Cake Queen. Foods that are considered important, "fit to set upon a king's table." 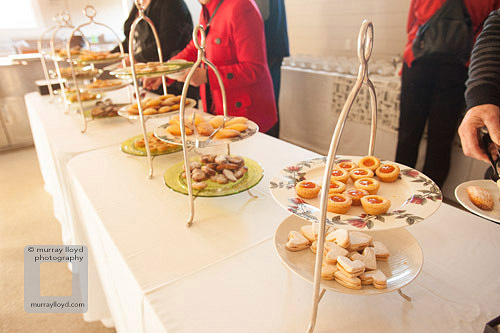 There are various opinions regarding what are considered "royal foods." 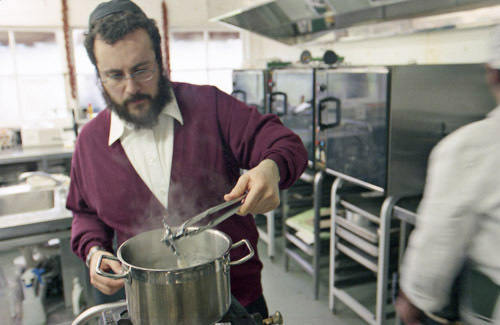 The key is for the Rabbi to participate in the cooking in a meaningful way in order to render the food kosher. 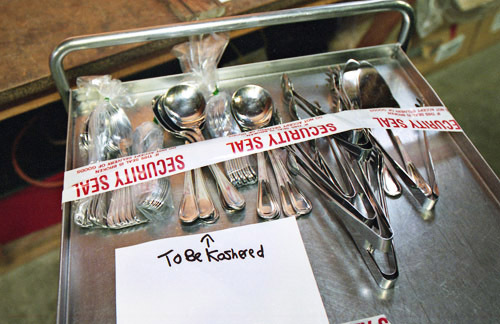 If a non-Jew cooked the food alone, without Jewish participation, the food and utensils are not regarded as kosher. These photos were taken with 35mm film and I can't help thinking they have a natural and organic feel, resonating well with the Koshering. The markets will be crammed with lovely fresh produce now spring has arrived and in NZ we can find locally produced food easily. Not so elsewhere. 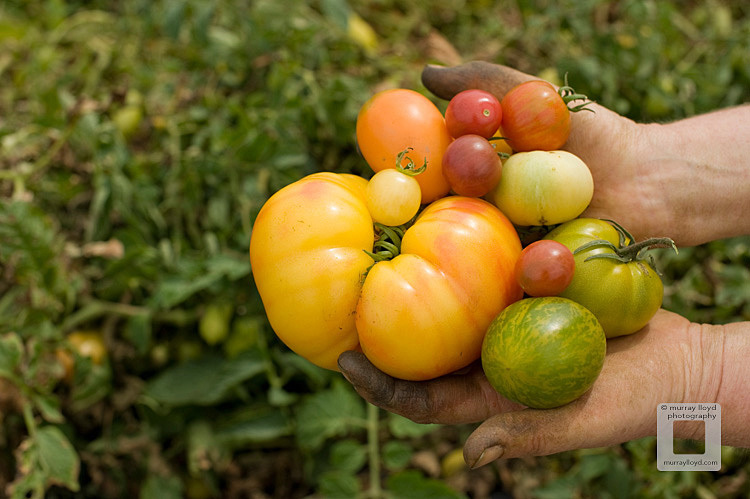 In Britain, a local government report said a quarter of food could not be verified as local in one county. In North Wales only half the meat sold as Welsh lamb was found to be Welsh and in an English restaurant "Hampshire spring lamb" was sold which was actually from New Zealand. In Canada the government have changed the criteria on what constitutes local. The government say the food just has to come from within the same province to be called local. In Canada this could mean a 1500km journey. Previously a 50km radius was deemed local. Here is a funny take on local food. Oritain is a New Zealand company based in Dunedin specialising in food verification. Their mission statement states Oritain can independently and scientifically verify the origin of food products to a forensic standard. The consumers in Canada and Britain would clearly benefit from their services. Portrait of man holding a giant leek which was the cover of Martin Parr's book Black Country Stories. 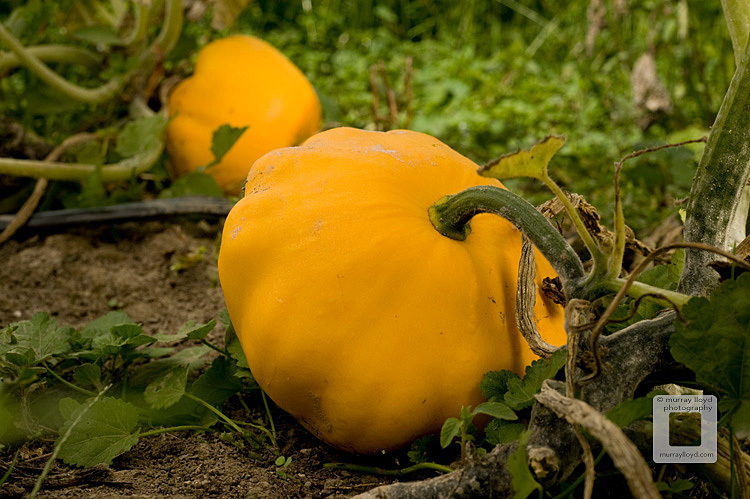 I have seen photos of over sized pumpkins appearing in the media but never a leek. 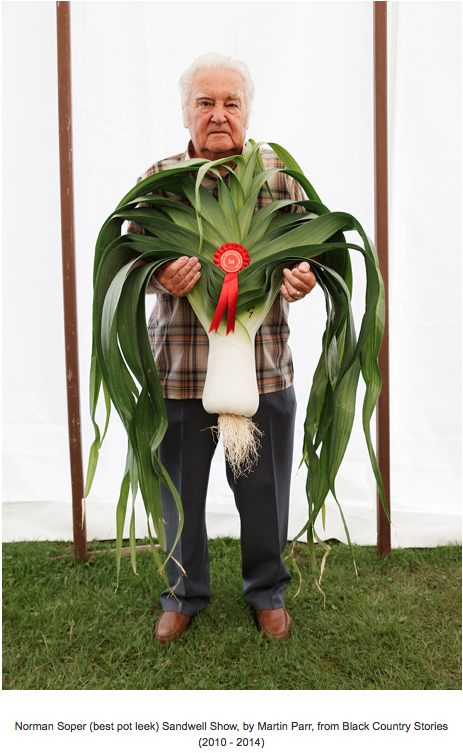 The leek portrait has been published on the cover of Martin Parr's 2014 book Black Country Stories. I don't know what they feed their leeks in England's Black Country but a portrait I photographed recently shows another way to make your produce seem large. 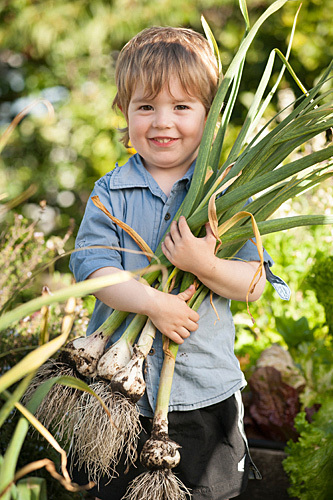 Portrait of smiling boy holding a bunch of fresh garlic in garden. Sixpack of Sushi Jewellery by Sharon Fitness at Dowse Art Museum. 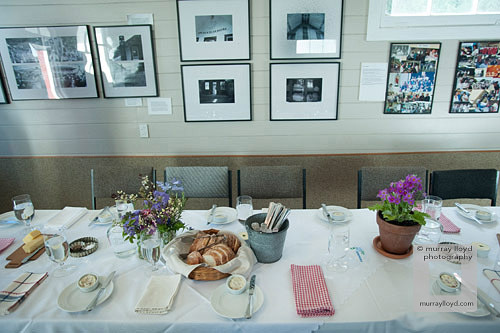 Neenish Tarts photograph by Peter Peryer at Dowse art museum. French flag blowing in wind. 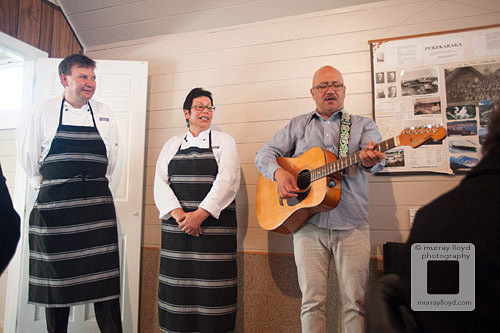 The French flag was flying again at PukeKaraka Marae in Otaki where guests assembled for Ruth Pretty’s “Casssoulet and Karaka Trees”, a Wellington on a Plate event. Fr. 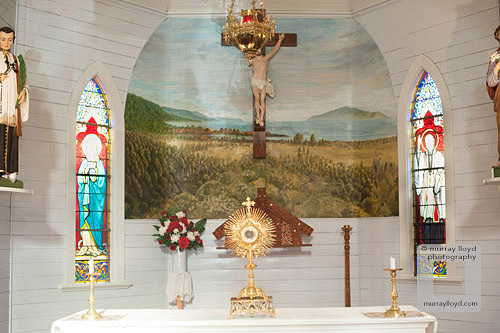 Jean-Baptiste Comte, a French Roman Catholic Priest founded the mission at Pukekaraka 170 years ago in 1844 and brought with him a typical French passion for food. 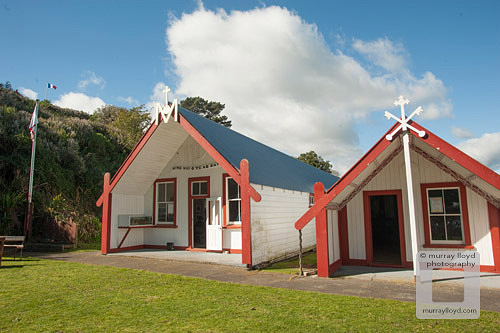 Pukekaraka Marae in Otaki, New Zealand. Together with local Maori, Comte built a flourishing community with three flour mills, maize, wheat and food crops that supplied shops in villages from Otaki all the way to Wellington. Was this the first Wellington on a Plate? Guests being invited onto Pukekaraka Marae in Otaki..
Ruth Pretty and her father Eric. 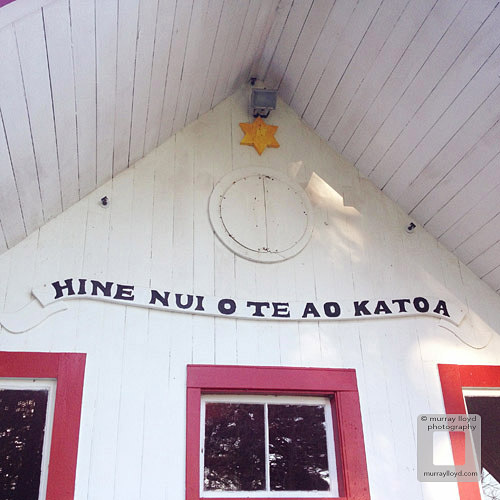 After a formal welcome onto the marae by Ngāti Kapu and an appropriately crowing rooster, guests were invited into 'Hine Nui o te Ao Katoa' which translates into 'Mary, Great Woman of the Whole World, Woman of Light'. Hine Nui o te Ao Katoa, Pukekaraka, Otaki. Interior of Hine Nui o te Ao Katoa at Pukekaraka Marae in Otaki. 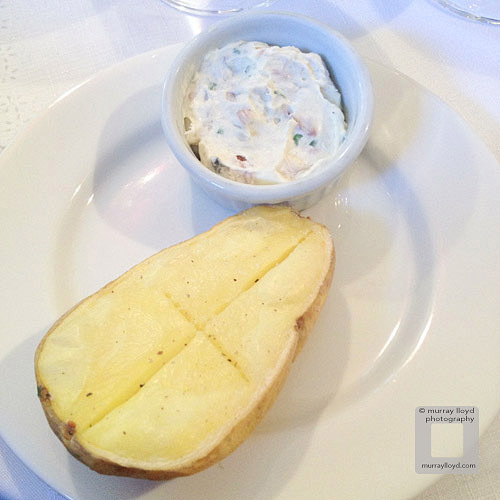 Baked potato and eel rillette by Ruth Pretty. Guests dining at long table. 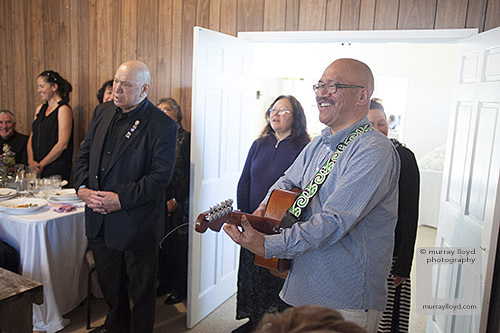 Rawiri leading the singing at Pukekaraka Marae. A walk up the 'Cavalry ' was needed after the wholesome lunch where Rawiri Rikihana gave a short history of the area. St Mary's Church at Pukekaraka Marae. Mushy peas or curry sauce with your Fish 'n' Chips? Quainton, a very cute English village of about 1200, located just north of London, gets visited every Wednesday evening from 5.30 – 8 by a mobile fish and chip van. Howe and Co have been delivering fish and chips from “coast to door” for more than 80 years, currently making hundreds of stops to more than 90 villages in a 50km radius. New Zealand does not have the same mobile service with fish and chips (although Mr Whippy hints at this) but we do at least have a mobile butcher. The mushy peas certainly add a fresh colour to the golden tones but the quality of the fish 'n' chips did not match the high standard of service. Maybe I am spoiled by the excellent quality easily found in New Zealand. The saying photography is 90% “moving furniture” and 10% photography was proved when I was asked to photograph one pulled pork bagel for Wholly Bagels in Wellington. On location, at night, saw three lights, one background, two diffusers, two bounce boards and seven light stands in action. Pulled pork originated in the southern states of the US but seems to be everywhere now. 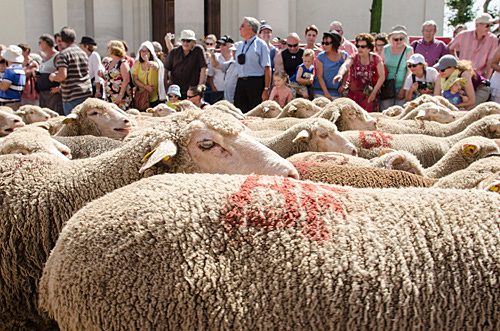 The Fete de la Transhumance is celebrated in St Remy de Provence annually on Whit Monday. This traditional French festival commemorates the days farmers trekked for days to take their sheep from drought stricken lowland in search of greener pasture in the mountains. I am sure Van Goph (sans left ear) would have appreciated the 3000 sheep, goats and donkeys being herded through the town for the 31st Fete de la Transhumance. He was living (self-admitted) in an asylum in St Remy between 1889 and 1890. The river of sheep winding through the narrow streets of the town resembled a readymade impressionist painting. Unlike the running of the bulls in Pamplona, no instant fines were handed out to people with cameras. The sheep did two laps of the town before departing – I hope they did not notice the menus. It is no surprise Maketu produced the latest MasterChef winners, the town has food in its bones. Maketu was named after the origonal kumara growing fields in Hawaiki by Te Arawa when their canoe landed at the mouth of the Kaituna River in 1340. The river and estuary have been historically referred to as the "food bowl" of the Te Arawa. 400 years later the Robin White painting Fish and Chips, Maketu immortalised the local fish and chip shop. Not sure why the shop has not been given the Robin White treatment. Maketu Pies carry on the food vibe. They distribute pies all over the North Island and have recently introduced a gourmet range called Sunday's Best. Their standard range is well regarded and includes a highly rated mussel pie. Historically the estuary provided a diverse range of seafood including pipi, koterotero (sea-anenome), tuangi (cockles), flounder, titiko (mud snail), mussels, pāua, pūpū, scallops, kukuroa (horse mussels) and fish. It seems appropriate the winners of MasterChef Karena and Kasey Bird are described as "seafood loving sisters" and their signature dish is paua ravioli. Basil grown from seed in full sunshine, Isle of Capri tomatoes freshly plucked from the garden and fresh buffalo mozzarella - Insalata Caprese - It is quite simply one of the greatest pleasures of summer and is one of my favourite dishes . 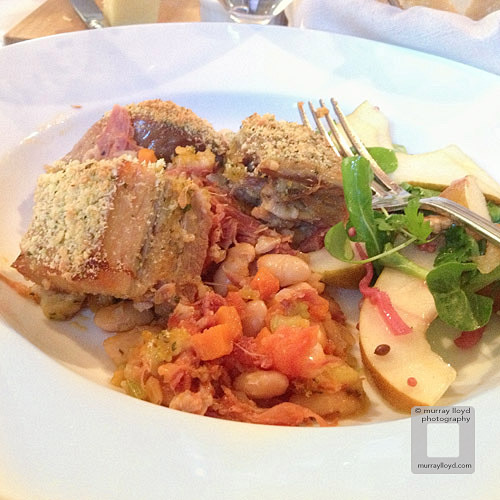 The flavours and textures work together brilliantly - here's to Italian food.